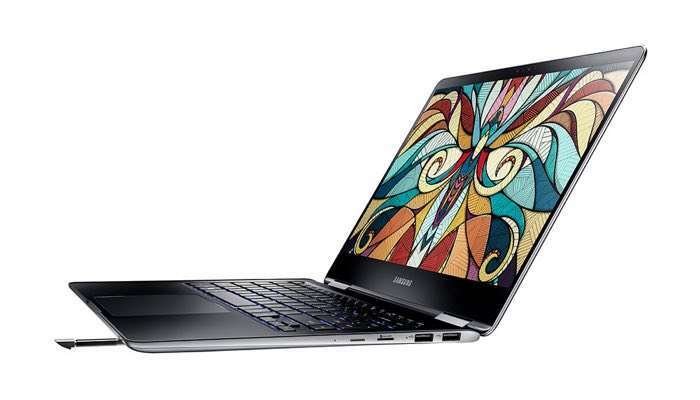 Yesterday we saw the new Samsung Chromebook Pro and now Samsung has revealed another new notebook, the Samsung Notebook 9 Pro. The Samsung Notebook 9 Pro comes with two screen sizes, 13.3 inches and 15 inches and it also comes with the Samsung S Pen. Both of the Samsung Notebook 9 Pro notebooks have a Full HD 1080p display and come with an Intel Core i7 processor. There is 8GB of RAM on the 13.3 inch version and 16GB of RAM on the 15 inch version and both models feature 256GB of storage. Both notebooks come with Windows 10 and the 13 inch model will retail for $1,199 whilst the 15 inch model will retail for $1,399.